Well, okay. Numenera came out in August, so it’s only been five months, not a whole year. But as we wave goodbye to 2013, I’m prompted to think about the game and the game line looking back and looking forward. 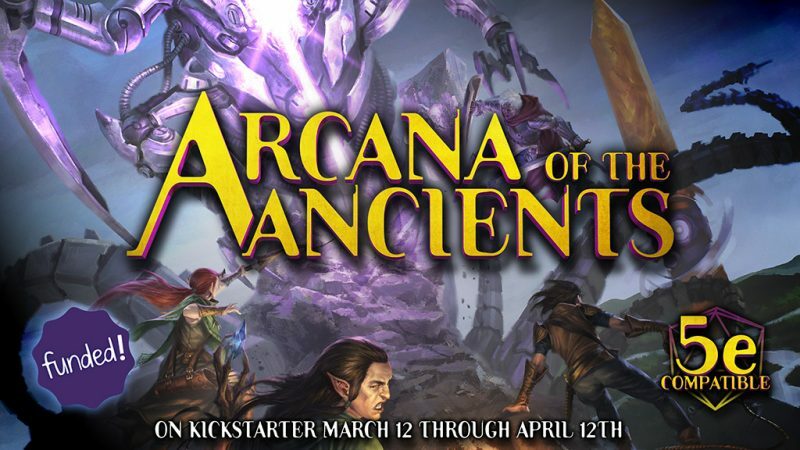 Obviously, Numenera’s birth came in 2012 with the launch of its record-smashing Kickstarter campaign. That was a heady time, but also pretty scary. We had set out to make a single, small-ish black and white book. Now we were committed to creating a line of full-color deluxe products. Could we pull it all off? Monte Cook Games co-owner and lead editor, Shanna Germain, really rose to the occasion and helped me design the world and even wrote some sections of the final setting material. About a thousand playtesters worked to help perfect the rules. But it was still a huge amount of work. At the beginning of 2013, 60-80 hour work weeks were not out of the ordinary for us. We hired Tammie Ryan in the spring to help, and she took a lot of load off of us. She started as just part-time but that grew quickly into a full-time job helping us interact with customers, coordinate with contractors, and many other things (Tammie is now MCG’s Customer Service Manager, but in truth she still wears many hats). Soon thereafter (in June), we hired Tammie’s husband as our COO. Charles has been in the industry a long time, perhaps most prominently as the business manager for D&D at Wizards of the Coast. He came in just in time, because Charles needed to help us in our work with the printer and our new fulfillment company. Tales from the Ninth World was our first Numenera product, a fiction ebook with three stories set in the Ninth World. It came out in June, and turned out to be a great (and popular) way to give people a preview of the setting. Kickstarter backers got the ebook for free. It remains available on DriveThruRPG. We’re thinking we’ll do a sequel of sorts in 2014. When August finally came, however, it was time to send out thousands of packages of Numenera corebooks, Numenera Player’s Guides, and more. A lot of those books for Kickstarter backers needed to be signed, so Shanna and I flew to Atlanta (in August!) to sign books at the warehouse there. Sadly, in the middle of that, we got word that my dad had passed away. I finished the signing, but in the ensuing week, while I was at the funeral and spending time with family rather than overseeing the shipping, some miscommunications with the fulfillment house occurred. 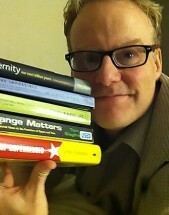 Books were delayed a couple of weeks due to these snafus, something I still deeply regret. Immediately afterward, it was time for GenCon. This was our first chance to preview the game to non-backers, and it went over very well. We had a fun launch event that was so big we had to (unfortunately) turn people away. At this event, we were extremely pleased to announce that game designer Bruce Cordell would be joining Monte Cook Games as a full-time designer. 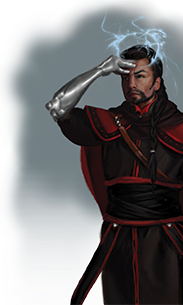 One of the things I love about the Numenera line are the Glimmers. Glimmers are short, ebook-only releases that we can put together in short order (taking only a few weeks from design to publication, rather than months). The great thing about this is that we can be very responsive. 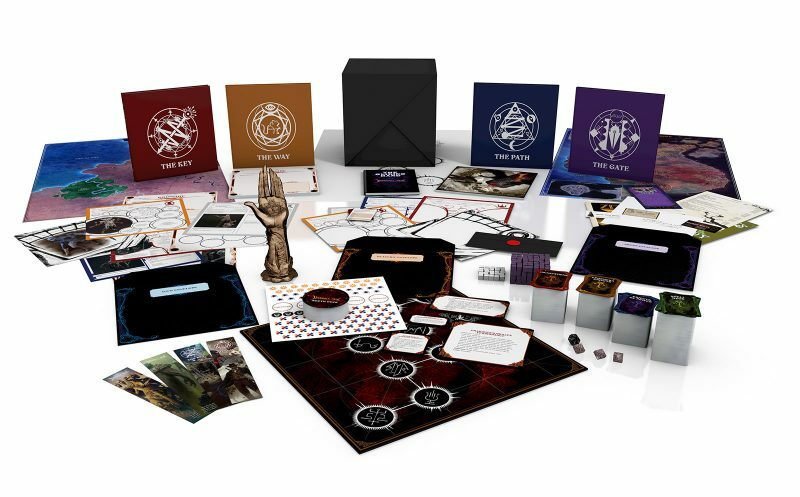 For example, we heard a lot of players saying they needed more cyphers, artifacts, and oddities, and so in December we launched Cypher Collection 1 AND Artifacts and Oddities Collection 1 as Glimmer products. Glimmers are great for all kinds of products. The first one, Vortex, was an adventure. The next one (and most popular so far) was In Strange Aeons, a sourcebook for making your Numenera campaign more Lovecraftian. Future Glimmers will include locations, creatures, and sourcebooks on more topics, as well as more short adventures. In October, we came out with a 96-page adventure product called The Devil’s Spine. This is a series of adventures that can be used together or separately. It’s creepy and weird, and I’m as proud of it as any adventure I’ve ever written. The adventures, if used together, can be played in any order to help avoid the “railroad” factor that can easily arise in published adventures, particularly long ones. It also has a number of what we call “show me” pieces of art, meant to be shown to the players when they have a particular encounter, illustrating exactly what they see. Numenera’s first year created a lot of great licensed products, some of which are available, and some still forthcoming. The aforementioned GM Screen, for example, is provided by Hammerdog Games. Fat Dragon Games created a cool terrain set. 3 lb. Games created a useful character creation app. There’s also the fantastic Numenera Thunderstone deckbuilding game from AEG that came out late in 2013. We made a deal with Reaper miniatures to produce some character and creature figures, a few of which debuted at GenCon. These haven’t yet been made widely available because Reaper’s had some issues with their packaging, but they expect to have that cleared up shortly. Plus, they added some of the creatures to their latest Bones II Kickstarter, so those will be out in 2014 as well. And of course, there’s Torment: Tides of Numenera. This computer game is a spiritual sequel to the original Planescape: Torment game, and it’s going to be fantastic. It won’t be out for another year or so, but it will be worth the wait. At MCG, we ended the year putting the finishing touches on the Ninth World Bestiary and the Creature Deck. The bestiary is a beautiful 160-page hardcover book that should be widely available in early February. 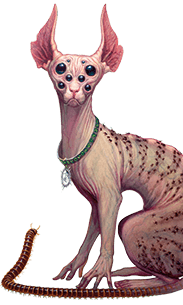 It’s full of great new creatures and NPCs for Numenera, and we’re really proud of it. The Creature Deck is a 120 cards that feature creatures from the corebook as well as a bestiary in handy, abbreviated form with the art for each creature. 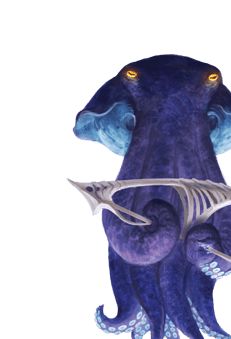 We already know what some of the future holds for Numenera, because it was Kickstarted. 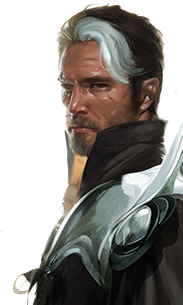 In 2014, we’ll see the Technology Compendium: Sir Arthour’s Guide to the Numenera, and the Ninth World Guidebook. We also have a lot of other products in the works as well. We are moving well beyond those products funded by the Kickstarter, because the line has seen a lot of success and, well, we just love the game. We’re already doing a second printing of the Numenera corebook to keep up with demand, something we didn’t think we’d have to do for many months. More adventures, more sourcebooks, and more unique product offerings will be coming in 2014, and of course 2015 as well, and we couldn’t be happier. The Monte Cook Games Web Store is Now Open!